The description of the setting back in 5.0 was “Enable VMFS block delete”. The setting was then hidden and made defunct (it did nothing when you turned it off or on) until ESXi 6.0. The description then changed to “Enable VMFS block delete when UNMAP is issued from guest OS”. When you issue UNMAP inside of a VM, if the virtual disk is thin, the virtual disk will shrink in the accordance to the space reclaimed. This is default behavior in 6.0 and on. What EnableBlockDelete does is extend this to the next logical step. 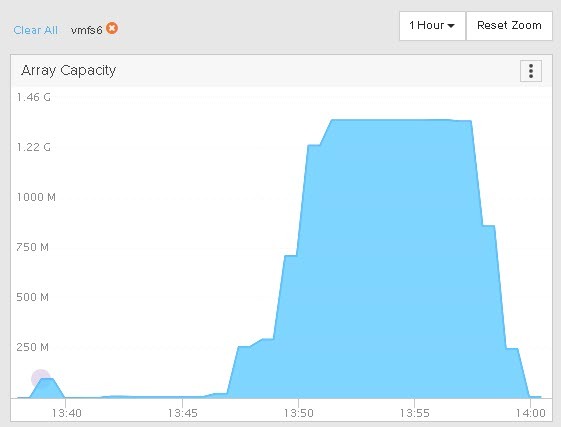 When enabled, ESXi will take those in-guest UNMAPs and issue UNMAP to the VMFS to reclaim that space on the actual physical storage. This provides for end-to-end space efficiency. So a common best practice is to enable this setting, which is not enabled by default. 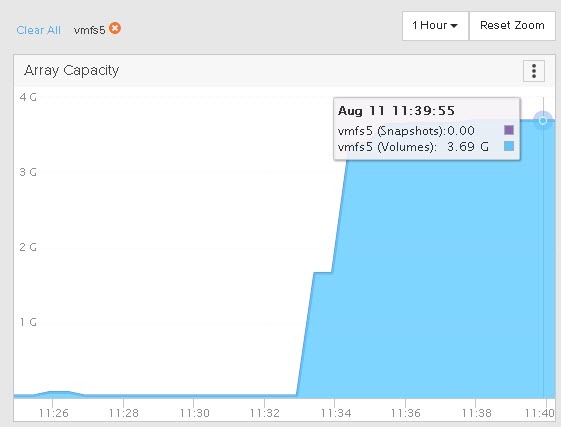 Let’s take a quick look on how this works in VMFS-5. 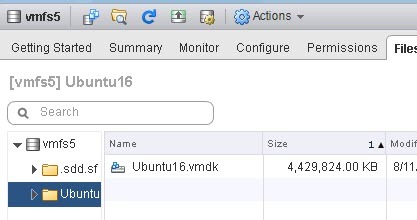 I have a Ubuntu VM with a thin virtual disk on a VMFS-5 volume. Furthermore, I have EnableBlockDelete DISABLED on the ESXi host (set to 0). It is important to note that this is a host-wide setting. root@Ubuntu16:~# sg_vpd /dev/sdb -p lbpv |grep "Unmap"
Now I will put some data on the file system. A couple of OVAs. My file system reports as having 3.9 GB used. 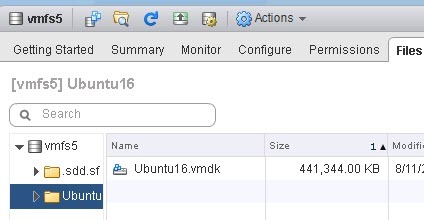 My VMDK is 4.4 GB in size. There is about 400 MB of capacity that was written when the file system was created, which explains the difference between those. 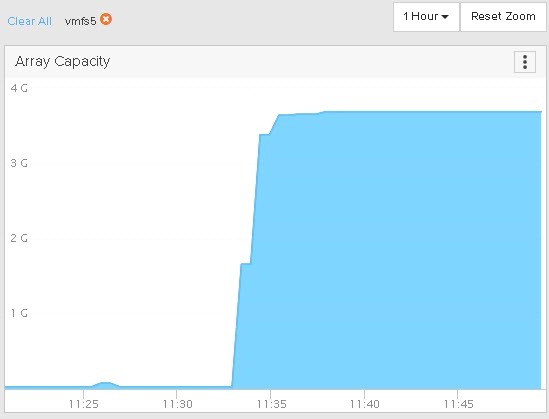 The underlying array reports 3.7 GB used. Smaller due to data reduction. Since the OVAs are compressed already, there isn’t a ton of data reduction to do. Okay, so let’s delete the OVAs. And the array is unchanged too. So we now have dead space in the VMDK and on the array, because those blocks are no longer in use by the guest. So, in Linux, to reclaim space you can either mount the file system with the discard option so UNMAP is triggered immediately upon file deletion, or you can manually run it with fstrim. I did not mount with the discard option, so I will run fstrim. But my array is still reporting it as used. This is because EnableBlockDelete is not turned on. The UNMAP in the guest only makes the VMDK size accurate by shrinking it down. But the underlying physical device is not told. So at this point (since it is VMFS-5) I have to run esxcli storage vmfs unmap to reclaim it. So this is the default behavior. Let’s enable EnableBlockDelete and repeat the process. I will copy the data back to the file system, which will grow the virtual disk again and write data back to the FlashArray. 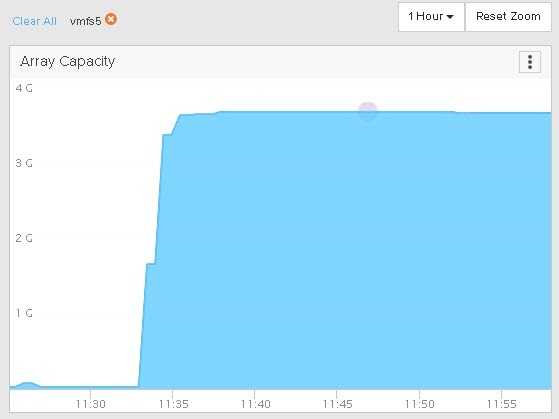 We can see we have 3.9 GB used again on my file system. My space on my array is reclaimed immediately this time! No need to run esxcli to unmap. I ran fstrim at 12:33:00 and the space was reclaimed on the array automatically by 12:33:55. Great! 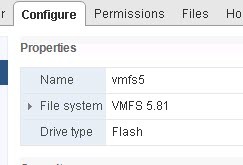 So now, back to the original question, what about VMFS-6? 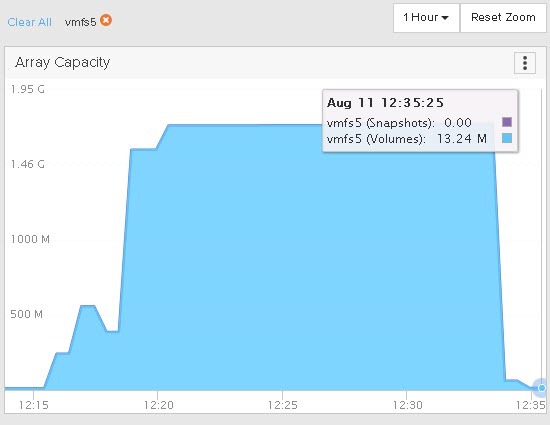 As you are likely aware, VMFS-6 introduced automatic UNMAP. 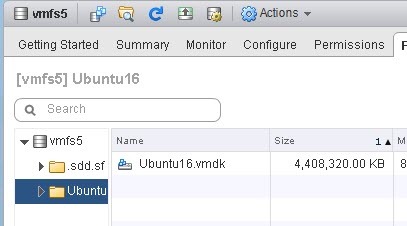 So you no longer need to ever use esxcli to run UNMAP on the VMFS. So let’s repeat the test. I will not go through every step again, let’s just start from the “we just deleted the files” step, but we have yet to run fstrim. So we have dead space. In this test, I have EnableBlockDelete disabled on my host and auto-UNMAP enabled on the datastore. If I use vsish, I can see no automatic UNMAPs have been issued to this datastore from my host. Note “UNMAP IOs” and “Unmapped blocks” are both zero. If we look back at the array, we see the space reclaims, but not quite as fast, took a few minutes. 62 UNMAP I/Os and 3878 blocks reclaimed. So we don’t need to turn on EnableBlockDelete in the case of VMFS-6! But if we look at the array, nothing happens. 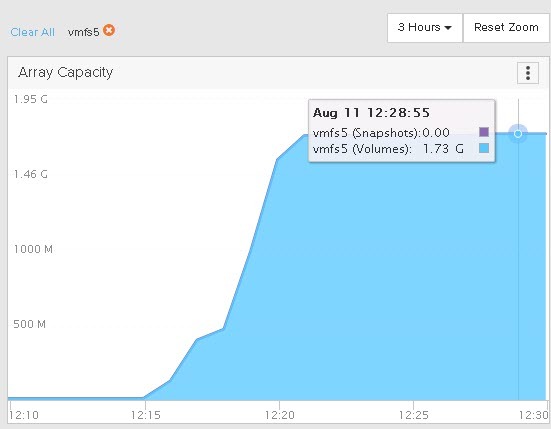 So this shows that EnableBlockDelete is ignored for VMFS-6 volumes. So in this situation we would have to enable automatic UNMAP to reclaim this space, or run the standard esxcli manual UNMAP. So what does this tell us. A couple things. In order to have full end-to-end UNMAP with VMFS-5 volumes, you need to enable EnableBlockDelete. 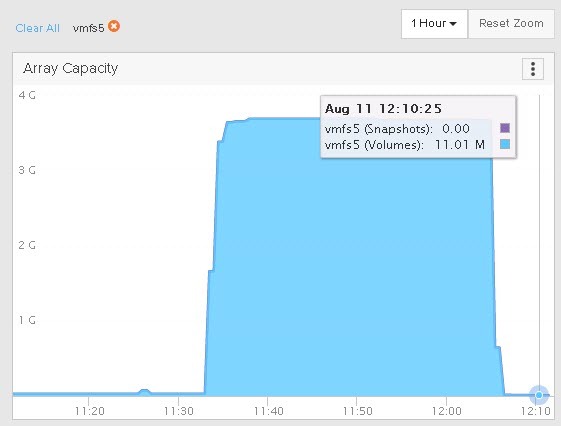 For VMFS-6 automatic UNMAP takes care of the VMFS reclamation portion for you. An interesting thing here is that automatic UNMAP invokes fairly quickly. When you delete a VM or a virtual disk, automatic UNMAP can possibly take 12-24 hours to reclaim the space. 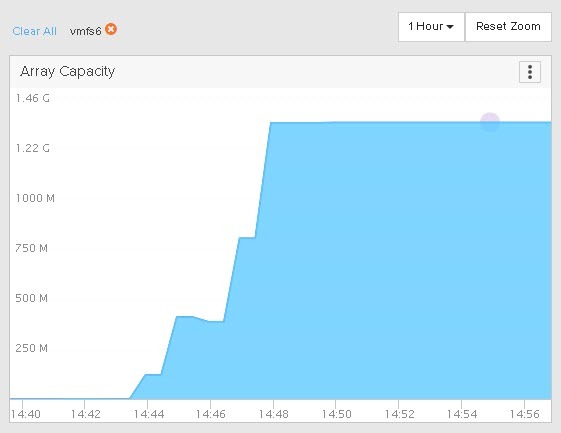 But with in-guest UNMAP, as soon as the VMDK shrinks, automatic UNMAP kicks in fairly quickly–in a few minutes. Mimicking the behavior of EnableBlockDelete. 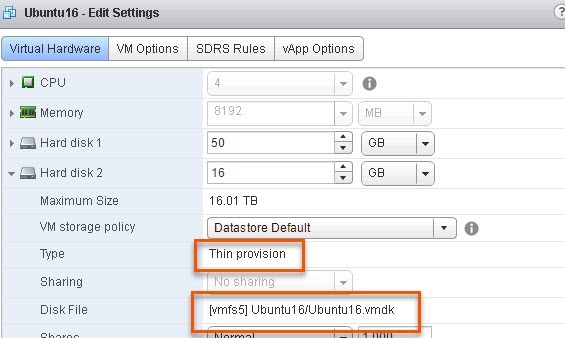 Which is great–you don’t lose functionality by moving to VMFS-6. I will note, that this was done with 6.5 U1. From my understanding there was a bug in 6.5.0 that EnableBlockDelete was actually honored with VMFS-6 and it would issue UNMAP when a VMDK shrank when the setting was enabled. The problem was that UNMAP was issued twice, as the EnableBlockDelete-invoked UNMAP did not prevent the automatic async UNMAP from issuing reclaim. So UNMAP was issued twice. This behavior was changed in 6.5 P1 and of course in 6.5 U1. Great write up! Is it still true with 6.5 and auto unmap, that guest level unmaps will only work for reclaiming space on the array if the vmdks are also thin? Thanks!! That’s correct, they still need to be thin. Great explanation with good example. Thanks for sharing. Fantastic article, with super didactic examples and screenshots, thanks! Would you pls help to summarize all limitations, known issues of VMFS6 auto unmap? 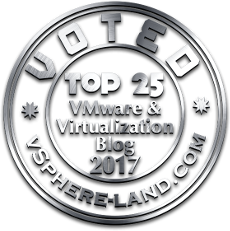 Currently, there’s no such KB/doc from VMware. I have read It a lot of about guest unmap but i have a doubt. I have clear that guest unmap works with thin lun and thin vmdk. The question is, can it work with thick lun? Yes i know that all space in thick lun is allocated, but when i send the guest unmap command shrink the vmdk’s space?